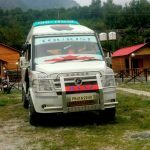 Taxi and car rental services in Chandigarh, Manali, Shimla for railway station, airport transfer and other local taxi needs. Verma Tempo Travellers are the pioneer car rental agency providing comfortable online taxi booking services in Chandigarh. We have a huge range of vehicles and car rental service to choose from making your trip a memorable experience at economical pricing. We have well trained chauffeurs, who are co-operative and disciplined to give you and your loved ones a hassle free journey. Our motto is to serve our customers with high quality car rental service in and around Chandigarh with zero botheration. Whether you are looking for regular taxi, a premium wedding car hire or tempo traveller for group tour, we serve all your needs with comfort, safety and enjoyment. We have huge number of vehicles ranging from Executive Cars for Corporate Sector/Personal needs within Tri-City (Chandigarh-Mohali-Panchkula) Tourist permit Cars, Ford Fiesta, Honda City, Skoda Octavia, Hyundai Accent, Tata Indica, Chevrolet Tavera, Toyota Innova, Scorpio, etc. All our vehicles are fully equipped to basic and modern amenities making your journey a hassle free drive across India. Located in City Beautiful Chandigarh area, we provide our customers with fast and friendly cab services in Chandigarh. It is being one of the major attractive tourist places in India, gathers huge number of tourists every year. This has invariably increased the demands of the economical and safest cab services. Verma Tempo Travellers and Taxi Services, as one of the well known car rental agency make sure to serve every customer with prompt, safest and comfortable car hire service at their doorstep. 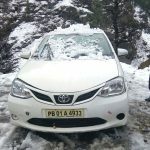 We also provide Chandigarh to Shimla Taxi. When you need a taxi company in Chandigarh then you have one of the reasonable option to, call us at 8427914933, 9988854950 or Contact at our office address directly, we are available 24/7 hours/week. Why choose Verma Tempo Travellers?